There is no remarks about our college. There is no bad remarks about our college. This college has best infrastructure. The maximum students got placed in many companies. This college is very big. Here Is the best environment in studying. 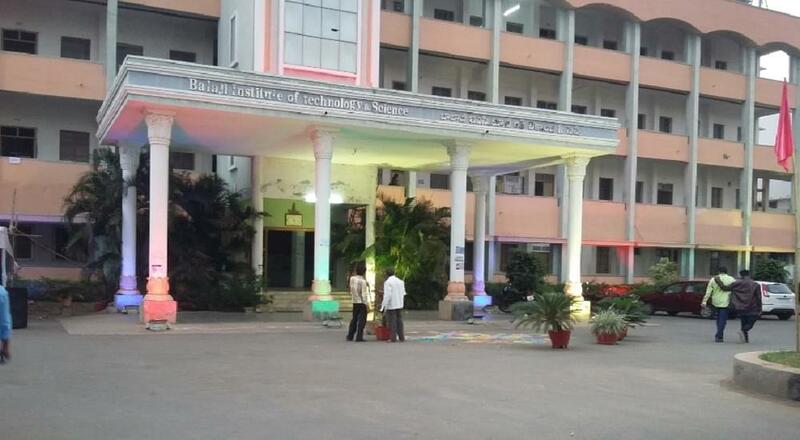 Balaji Institute of Technology & Sciences (BITS), Warangal was established in 2001 under Maheshwara Educational Society. It is affiliated to Jawaharlal Nehru Technical University (JNTU), Hyderabad and approved by All India Council for Technical Education (AICTE), New Delhi. The vision of the college is be an authority in generating globally acclaimed technocrats, to emerge as a premier institution for technical education in the country through academic excellence and to be recognized as a centre for excellence in research & development, catering to the needs of our country.The mission of the college is strive hard to produce technically trained superior human resources to serve the present and future global needs by providing quality education. The college is situated at Laknepally Village near Narsampet beside Warangal-Narsampet main road in an area of 35 acres with an intake of 180. The place is well connected by road and train and is only 20 minutes drive from Warangal. Vegga IT Services Pvt. Ltd. Vision Krest Embedded Technologies Pvt. Ltd. The college has a huge and spacious open auditorium that can accommodate about 3500 people. The Seminar Hall is highly confined, accommodative and well- furnished with LCD Projector and other facilities. It can accommodate around 300 students. The computer lab has around 500 hitech computers which are well equipped with latest tools and technologies. The college library has a total collection of about 5000 titles and 42000 volumes of books. It subscribes to 43 international journal and 14 magazines. It provides access to several e-books, e-journals and video lectures. Available for both boys and girls separately with accommodation capacity of 400 students. "Good platform for engineering students for best education"
"College gives very good knowledge about life,i am learning lesser subject knowledge"
This is the best college in all branches. In our state I have written an EAMCET examination. There is no interview process in this college. There is no entrance exam in this college. In this college the course I have taken is best course.